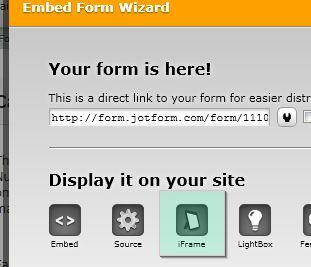 I am a non profit that relies heavily on the forms I've created with JotForm. Recently, I've had back to back complaints that the forms weren't working. I'm told that once they start to upload pictures the information below it dissapears and they are not able to click the buttons for consent or submit the form. Any ideas why this might be happening. Please get back to me A.S.A.P. because there are grieving families waiting for me to fix this problem. If you received them within the last half an hour they might be caused by our down time. Our data center had firewall issues and we were down. In addition to what Aytekin has mentioned, I noticed that you're using iWeb to create your site. We've had issues with forms embedded in iWeb generated pages getting cut off. The solution we usually offer to our users is to use iFrame codes to embed the form and to allow auto-scrolling. 5. Change scrolling="no" to scrolling="auto" in the embed codes, then paste the embed codes on your webpage's HTML widget. Let us know how it goes from here on out. We'll be looking forward to your feedback. Thanks!